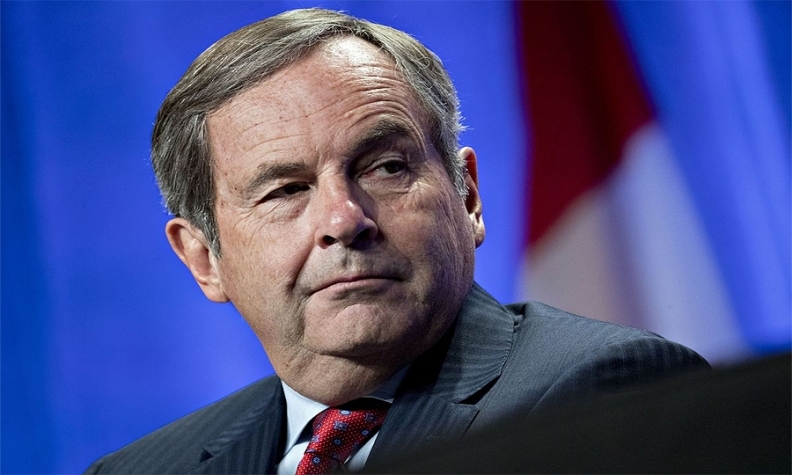 NAFTA deal possible by end of March, says Canada's ambassador to U.S.
David MacNaughton says the time has come to leave political rhetoric behind and find a workable agreement. OTTAWA — Canada's ambassador to the United States said Monday he believes NAFTA negotiators can reach an agreement in principle by the end of March. MacNaughton refused to speculate on whether Trump is likely to pull out of NAFTA, but he said enough progress has been made on the "wiring and plumbing" of the agreement that all three countries can iron out their differences on the more substantial issues in the next two months. "I would love to see a deal done," the envoy said after an event in Ottawa with his U.S. counterpart, Kelly Craft. "We've made tremendous progress on some of the less spectacular things." Craft dropped a broad hint that she doesn't find her president's rhetoric helpful. "When President Trump asked me to consider serving as U.S. ambassador to Canada, he promised that this would be very interesting and very, very important," she said. "I don't really need him to continually say 'tear up NAFTA' to keep it interesting. A little bit of boring would have been just fine with me." "There are still four or five sticking points," he said. "I think we roll up our sleeves and work hard on them we can at least get to the point where we've got an understanding, whether it be an agreement in principle or whatever it is, which we then allow technical people to work on." "The uncertainty causes people to sit on their wallets rather than make investments," he said. "I'd hate to see that stalled because of the uncertainty around NAFTA." Substantial differences remain on autos, a sunset clause and an investor-dispute resolution mechanism, while U.S. demands for greater market access to Canada's protected dairy industry also loom large. U.S. trade czar Robert Lighthizer said he was unsatisfied with Canadian proposals on autos and characterized a Canadian complaint to the World Trade Organization as a "massive attack" against the U.S. trading system. But he said enough progress was made in Montreal to continue the talks. "The United States wants NAFTA modernization to strengthen the North American energy revolution and promote North American energy security and self-sufficiency," said Craft. "A separate energy chapter must add value not duplicate obligations found in other chapters."